Born at West Hartlepool, Yorkshire, he studied sculpture at the South Kensington Schools under Edouard Lanteri. He produced bronze busts, relief portraits and public monuments. 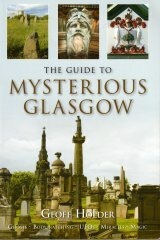 These include the statues of King George V in Jersey and Durban; the Robert Burns Monument, Galashiels; the Captain Webb Monument at Dover; a bust of TP O'Connor, Fleet Street, London (c. 1930); the memorials to John Mandeville, Michelstown, Eire; the Lord Oxford Memorial in the Reform Club, London; and the portrait of John Redmond in the House of Commons, London. For Glasgow, he executed the Partick and Whiteinch War Memorial, Victoria Park (1922). He exhibited at the RA from 1903, beginning with a relief portrait of a Mrs Ross, and at the RHA and RGIFA , where he exhibited a bronze portrait of Irish freedom fighter Michael Collins (1923, Cat. 72) and a portrait in plaster of Mrs Alec Purves (1932, Cat. 60). He latterly worked from 2 Wentworth Studios, Manresa Road, London, and died at St. Luke's Hospital, Chelsea.